In addition to hitting the consignment stores this week, I made it to a rummage sale at the Senior Center and an estate sale. Consignment store find. I think it's a green ballerina pattern depression glass vase. 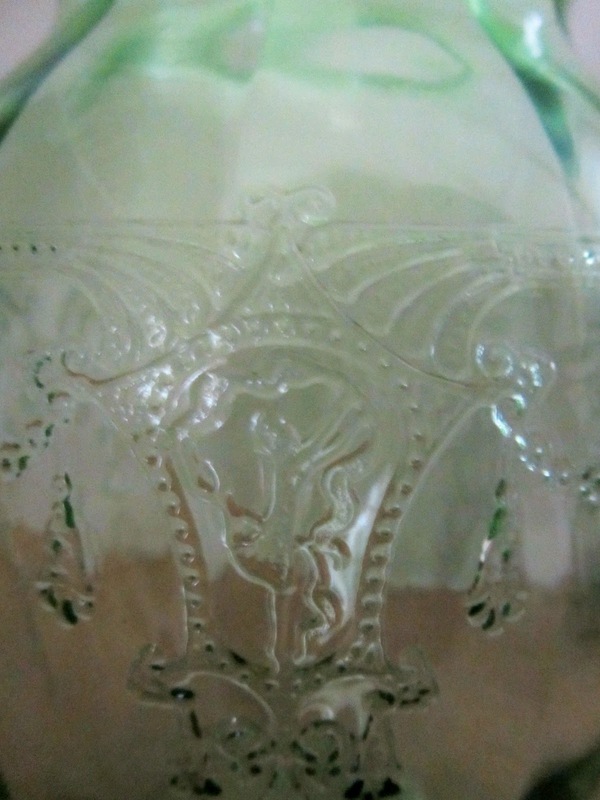 Sure of the pattern, not sure if it's real or a repro. $5. This was my most expensive purchase. 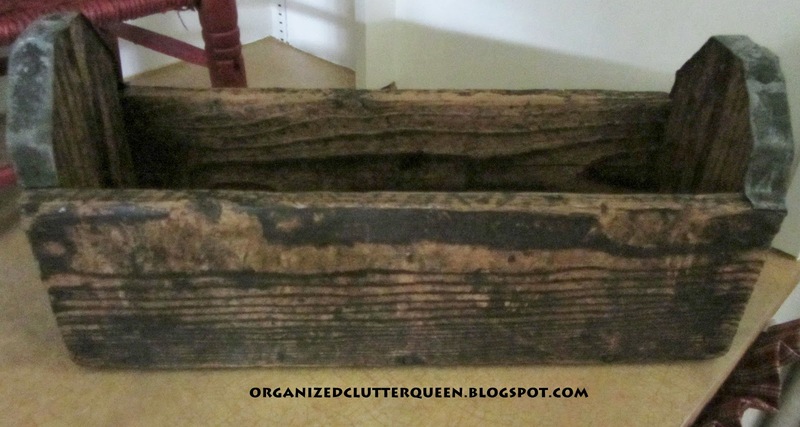 A chippy, old, wooden, primitive tool box. $22 at an antique store. 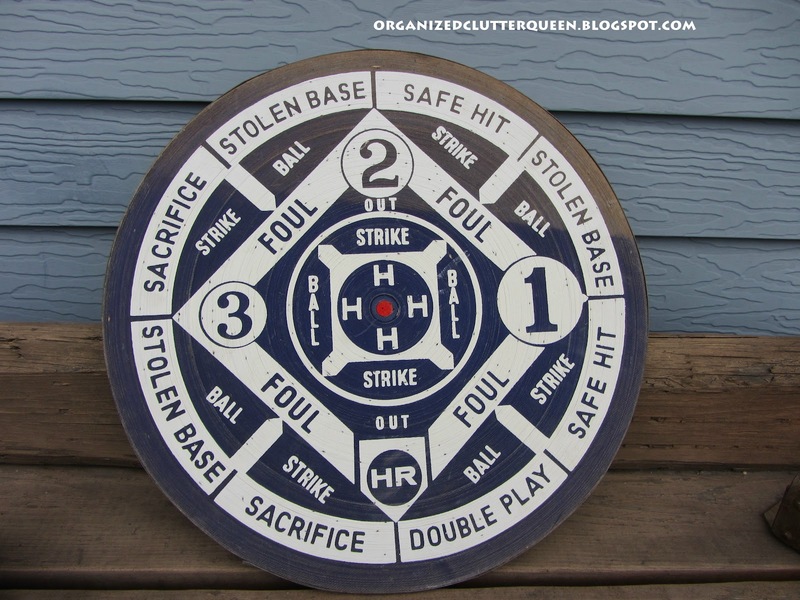 I am going to use it to display some old game boards. 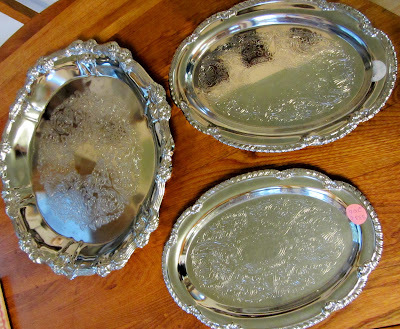 Two oval Irvinware chrome trays and one round Shelton tray at thrift/consignment store. $2 each oval, $3 on the round. Like new condition. I think these will be used in my flower garden for some bling! 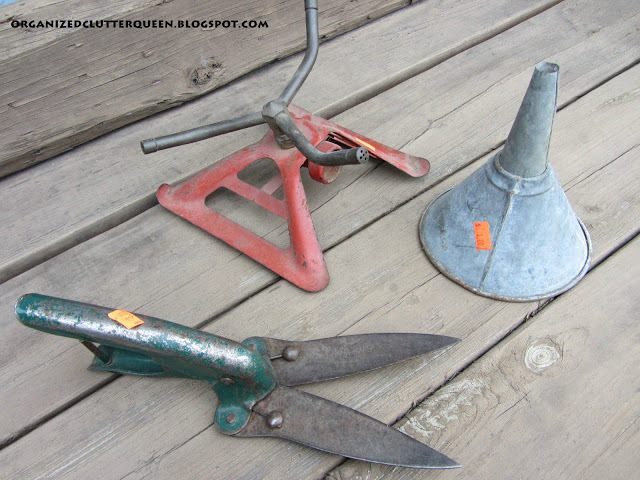 I love to collect sprinklers (especially red) and old clippers. I think these are marked Stalwart. Along with the little funnel, all great garden junk! $4 clippers, $4 sprinkler, $1 funnel estate sale. 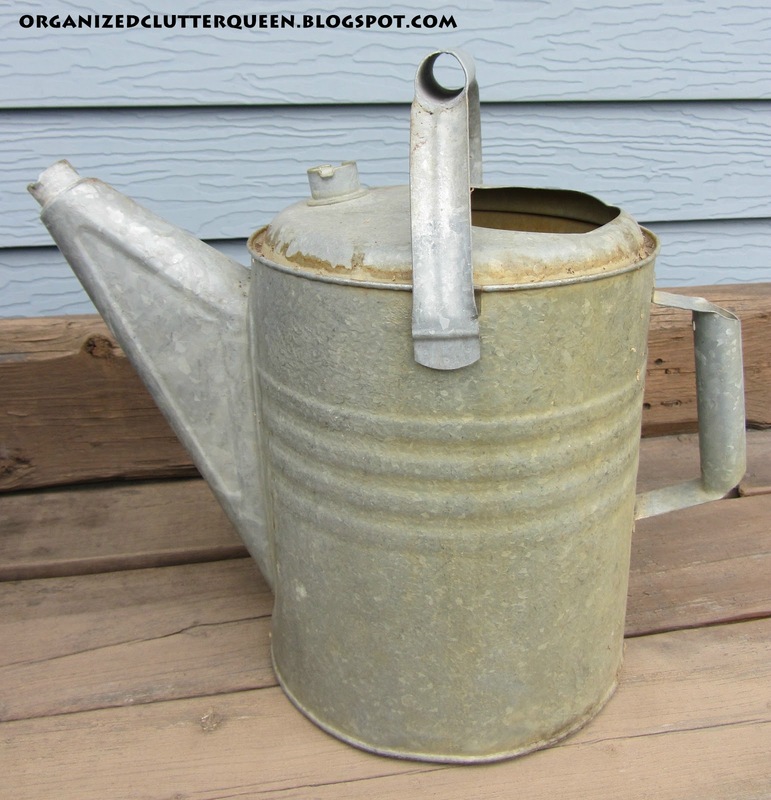 I don't think I could have too many watering cans and I couldn't pass up on this one at the estate sale. $4. Condition is fair. More fun garden junk at the estate sale. 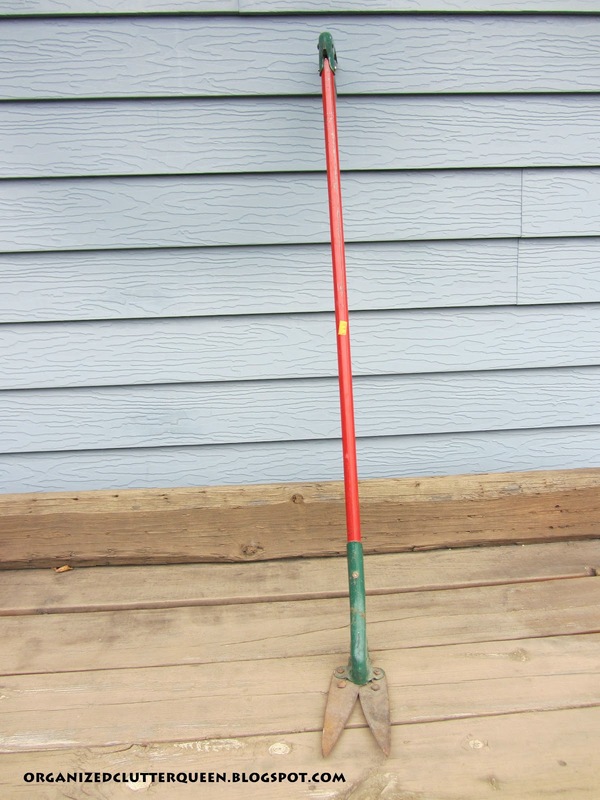 Long handled Artisan grass clipper. $4. 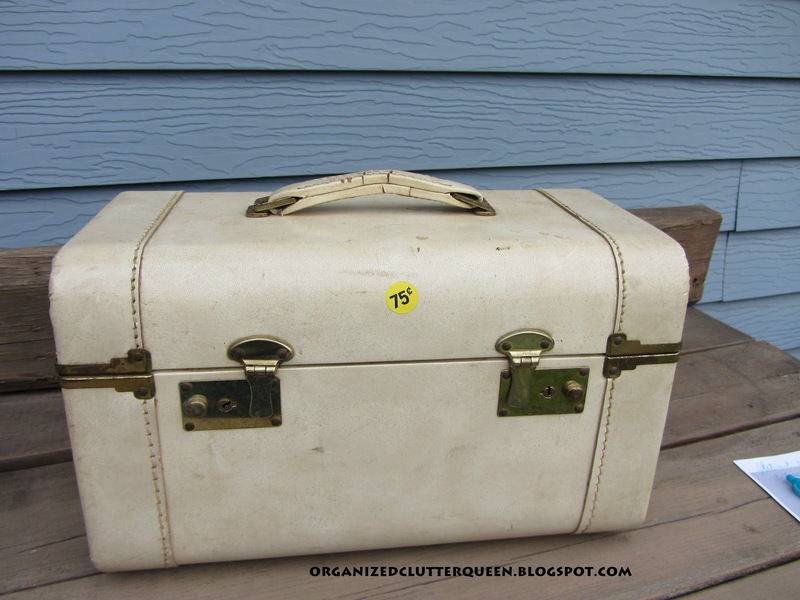 Great old suitcase, 75 cents at the rummage sale. 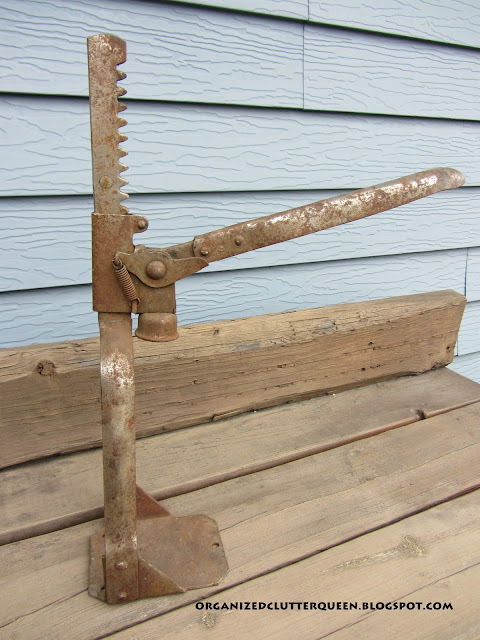 A rusty vintage bottle capper from the consignment store for a couple bucks. Interesting garden junk. This is a double sided dart board. Regular darts on the back and baseball darts on the front. Marked made in England. All wood. $5 at rummage sale. Great condition. 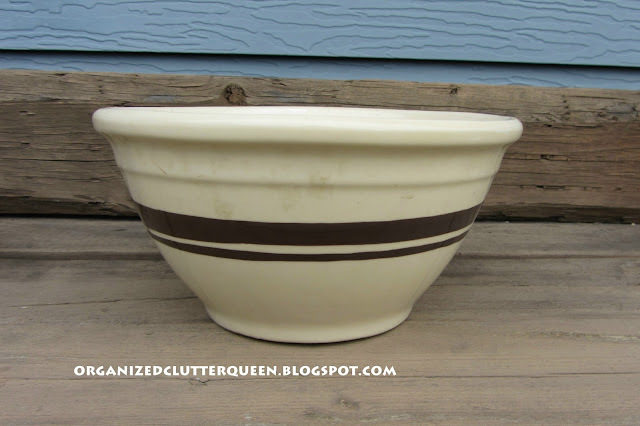 My mom gave me one of her finds, this McCoy ovenware bowl with brown stripes. This is the second brass holder I have run across recently. The last one I painted white and displayed Christmas cards and Valentines in the clamps. This one was a couple bucks at the estate sale. 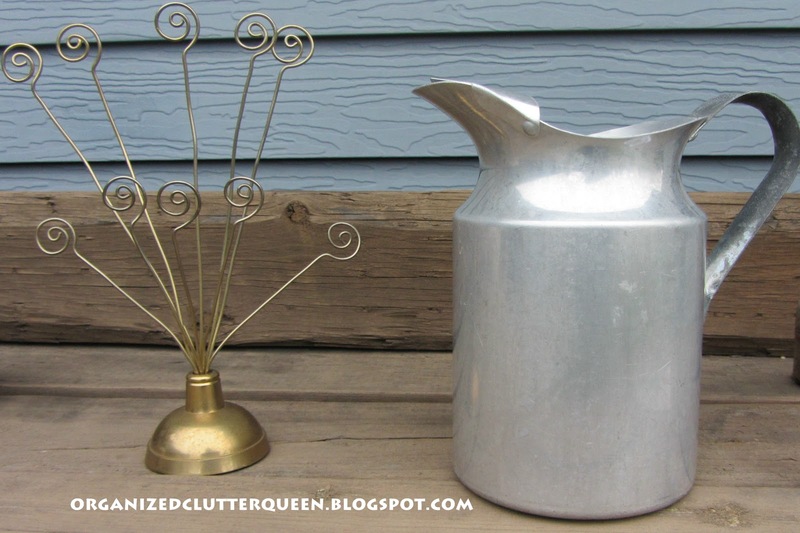 Also a Walker Ware vintage aluminum water pitcher $3 at the consignment store. 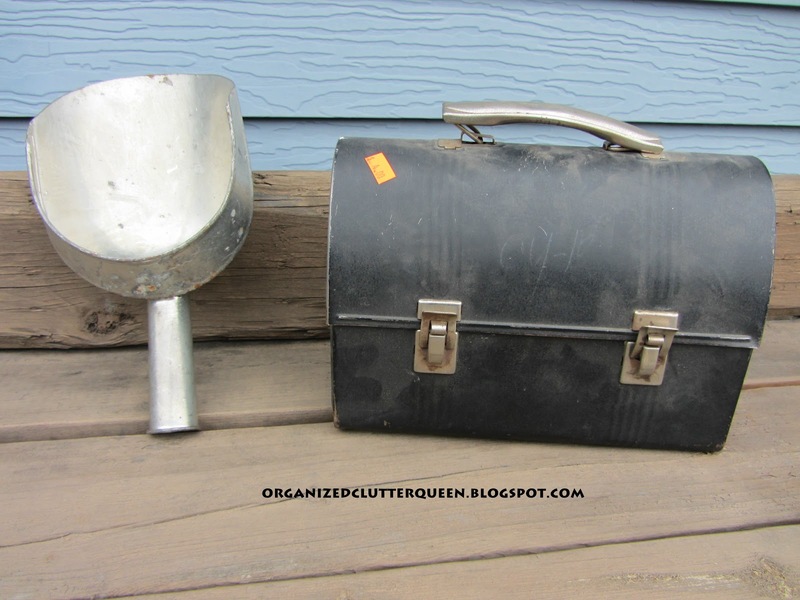 Total spent excluding the primitive tool box $47.75. I have some depression ware, too, that I inherited from my grandmother. Love that water pitcher. Great finds! 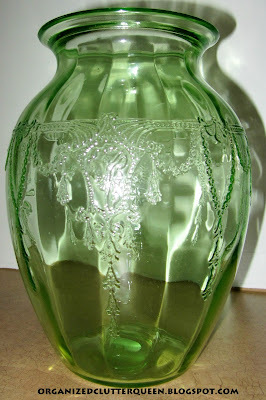 I am reading your blog for the first time and I really enjoy seeing your finds. I just got one of the long handle grass clippers. My husband sharpened them and I use them all the time to trim and edge with! Great haul! I especially like the lunch box and garden tools. :-) Hope you have a terrific day!